Fresh flowers are powerful. 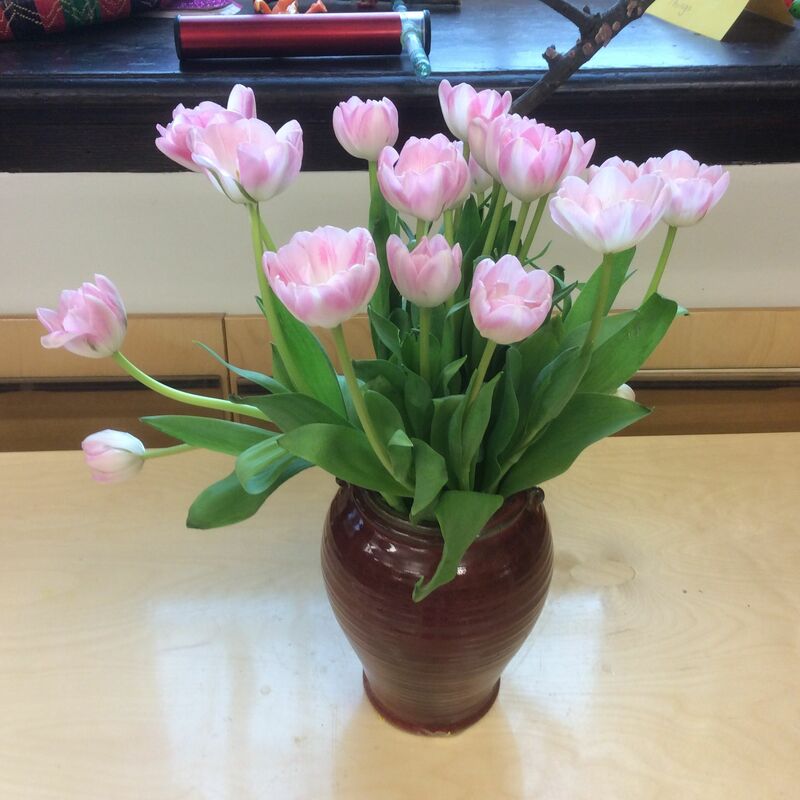 We were so lucky this week to have these beautiful pink tulips to live with us in our classroom. The tulips spurred on conversations about the color pink. The tulips magically changed the tone in different areas of our room: paired with our crockpot for cooking, spending time in the nature area, and simply being the centerpiece on a table. These tulips proved to be magical.